Prentis I. Frazier Park Play Area includes two nature inspired and tree house themed playgrounds. For kids 5-12, A PlayBooster® structure comprised of mostly nature inspired components and net climbers. The Discovery Tree Climb™, Wood Plank Wiggle Ladder, Crest Climber and Traveler Climber highlight this playground. In addition, this structure includes three slides and multiple sensory activities. Following the same natural theme, the 2-5 structure includes The Peak™ Rock Climber and a Recycled Wood Lumber Panel. 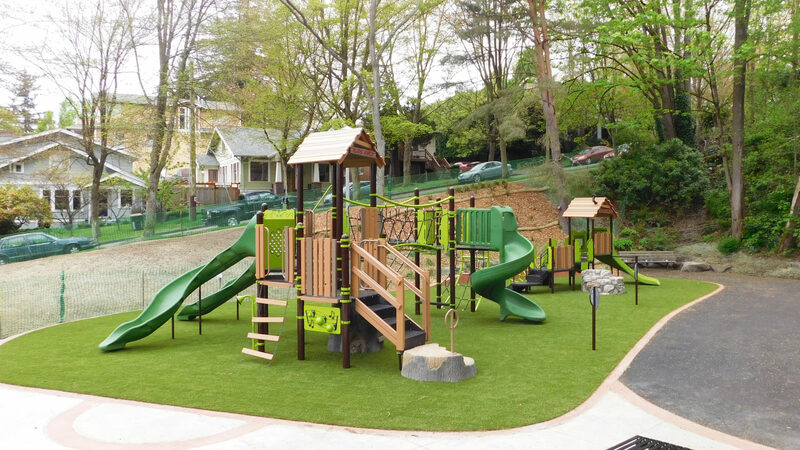 Lastly, Playground Grass ties the play area together and completes that natural look and feel.